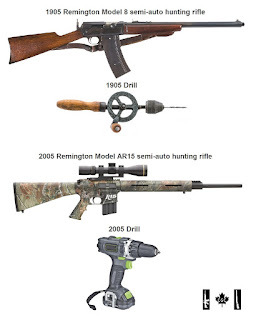 A history of the long gun registry in Canada. 1993 - Government tells Canadian public the federal Long Gun Registry would cost only $2,000,000. 1995 - Federal Long gun registry is included as part of oppressive gun control Bill C68 by liberal Chretien government. 1995 - The Department of Justice reported to Parliament the registry would cost $119,000,000. 2001 - Costs had risen to an estimated $527,000,000. 2002 - Costs had risen to an estimated $629,000,000. 2002 - Department of Justice estimates cost of registry by 2004-05 would exceed $1,000,000,000. 2004 - Documents obtained by Zone Libre of Télévision de Radio-Canada suggest that the registry had already cost tax payers an estimated $2,000,000,000. 2006 - Auditor-General of Canada, Sheila Fraser informed Parliament that former Liberal government twice misinformed Parliament about tens of millions of dollars of overspending. 2010 - Survey reveals 72 percent of Canadians believe the long-gun registry has done nothing to prevent crime. 2014 - Following an appeal to ending the registry, Ontario Superior Court of Justice rules that there was not sufficient evidence to conclude that the Registry had been of any measurable benefit to women and that statistically rates of firearms-related violence had been following a trend downward before the Registry and had not changed after the Registry had been withdrawn. The 2014 Ontario appeal was submitted by the Barbara Schlifer Commemorative Clinic who offers legal representation to women. 2015 - Supreme Court of Canada throws out Quebec's injunction and allows for destruction of registry data but allows Quebec to keep the records for long guns owned by licenced law abiding Quebec residents. No evidence has ever been presented that proves even a single life was saved by the federal long registry. 2016 - Quebec liberal government under Premier Philippe Couillard moves forward with plan to create a Long Gun Registry for the Province of Quebec. 2016 - Quebec liberal Couillard government tells the Quebec people the process will cost $17,000,000 to start and another $5,000,000 annually.